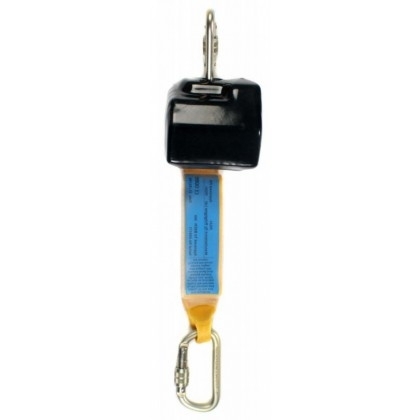 The RGA1 is a retractable mini web block ideal for personal issue to operatives working at height. The unit is designed to be connected, and worn directly on a fall arrest harness. The RGA1 has an almost instant "lock off" in the event of a fall, and recoils into the drum when slack is introduced into the lanyard. The reduced trip hazard and compact design make this unit ideal for tight work and tasks where a shorter arc of mobility is required. The RGA1 can also be fitted to most horizontal lifelines, but always check with the manufacturer prior to fitting. The RGA 1 has a working length of 2.5 metres.